Dr Satish Kumar, who retired from Uttar Pradesh Higher Education Services Commission (Class I), worked as Professor and Head in three Government Colleges as well as the Principal of five Government Colleges of Uttar Pradesh. He has authored a number of books including Edgar Allen Poe: Style and Structure of His Short Stories, Literary Explorations, and his four volumes on Indian Writing in English, namely, A Survey of Indian English Prose, A Survey of Indian English Poetry, A Survey of Indian English Drama and A Survey of Indian English Novel. 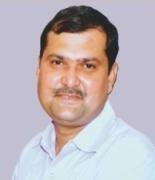 He had also been the former Dean, Faculty of Arts, MJP Rohilkhand University, Bareilly, U.P. He can be contacted at drsatishkumar08@gmail.com. Dr Madhu Bala Saxena worked as Professor and Head of English Department of IFTM University, Moradabad and Associate Professor and Head of English Department of M.H.P.G. College, Moradabad, U.P. She is M.A. in Sanskrit and English and her doctoral degree in English is on Treatment of Human Relations in the Novels of Somerset Maugham. She has been writing research papers and book reviews for various journals and magazines and guiding research scholars of English Literature for the last thirty five years. Her main interest lies in Indian Literature in English, particularly in Indian English Fiction. 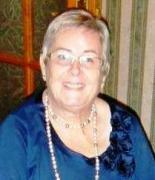 She can be contacted at madhumh53@gmail.com. Dr Sudhir K. Arora (1968) teaches English at Maharaja Harishchandra P.G. College, Moradabad, affiliated to M.J.P. Rohilkhand University, Bareilly. He registered his presence as a poet with A Thirsty Cloud Cries in 2006. His poems, reviews and articles appear in journals across the globe, including Indian Literature and World Literature Today. He has authored a number of books including Aravind Adiga’s The White Tiger A Freakish Booker, Aravind Adiga’s The White Tiger: A Study, A Study of Kamala Markandaya’s Women, Multicultural Consciousness in the Novels of Kamala Markandaya, The Poetic Corpus of Stephen Gil: An Evaluation and Niranjan Mohanty: The Man and His Poetry. The voluminous critical work, Cultural and Philosophical Reflections in Indian Poetry in English in five volumes (Footprints, Pathfinders, Signatures, Milestones and Journey), is his magnum opus. He resides at B-72, Deendayal Nagar, Phase-2, Near Sai Temple, Moradabad-244001 (UP) India and can be contacted at drsudhirkarora@gmail.com. Dr Abnish Singh Chauhan (1979) is a bilingual poet, critic, translator and editor (Hindi and English). His significant books include Swami Vivekananda: Select Speeches, Speeches of Swami Vivekananda and Subhash Chandra Bose: A Comparative Study, King Lear : A Critical Study, Functional Skills in Language and Literature, Functional English, Writing Skills and The Fictional World of Arun Joshi: Paradigm Shift in Values. His deep interest in translation prompted him to translate thirty poems of B S Gautam Anurag under the title Burns Within from Hindi into English and some poems of Paddy Martin from English into Hindi. He had been invited as Speaker to Ahmedabad International Literature Festival 2016. Besides Harivansh Rai Bachchan Yuva Geetkar Samman (2013) for his Hindi poetry collection Tukada Kagaz Ka from Uttar Pradesh Hindi Sansthan, Lucknow, U.P., he is the recipient of Pratham Kavita Samman (2011) from Kavita Kosh (www.kavitakosh.org), Book of the Year Award (2012) from the Think Club, Michigan, USA, Srajnatmak Sahitya Puraskar (2013) from Rajasthan Patrika, Jaipur, Rajasthan, Navankur Puraskar (2014) from Abhivyakti Vishwam, Sharjah, UAE, etc. 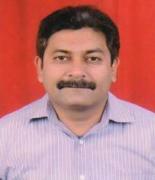 He also edits International Journal of Higher Education and Research and a Hindi magazine Poorvabhas. He resides at F-338, Prem Nagar, Linepar, Majhola, Moradabad-244001 (UP) India and can be contacted at abnishsinghchauhan@gmail.com.